The Handy Squad have been patrolling Earl’s Court for over a decade in their signature yellow scooters and vans. 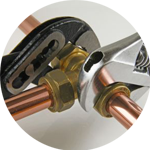 We have successfully completed a wide variety of plumbing tasks to an exceptional standard at both fair prices and within an effective time-frame. 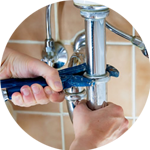 We have an expert team of Plumbers in Earl’s court, who will be able to draw on their years of knowledge and expertise from the plumbing trade to undertake even the most arduous and complicated of tasks. 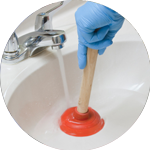 Your Plumber in Earl’s Court will be able to provide services related to; Replacements, Unblocking and much more. Earl’s Court is a district within the Royal Borough of Kensington and Chelsea. 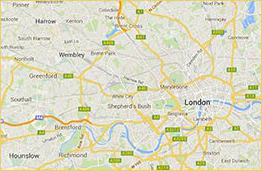 The area is home to Earl’s Court Exhibition Centre which hosted volleyball events during the 2012 London Olympic games. 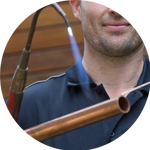 The Handy Squad have always prided themselves on offering much more than just plumbing services. We also have a Handyman in Earl’s Court, to assist with any general DIY tasks for both commercial and domesticated buildings. Your Handyman in Earl’s Court will be able to help with anything related to; Flat Pack Assembly, Tiling and Odd Jobs. We also have specialised trade services such as an Electrician in Earl’s Court and a Decorator in Earl’s Court, who will take care of electrical and decorating tasks respectively, with ease and efficiency. To book your handyman, carpenter, decorator, electrician or plumber in Earl’s Court, fill out the online booking form.